Reflections from a seasoned peacebuilder on a decade engagement with nonviolent social change in Nepal as the country navigated war and peace. Lederach, well known for his practical and theoretical contributions to the fields of peace studies and conflict transformation, opens up toward a personal exploration of his accompaniment of philanthropy and system's change with local Nepali communities focused on natural resource conflicts, rural women's empowerment, and community mediation. 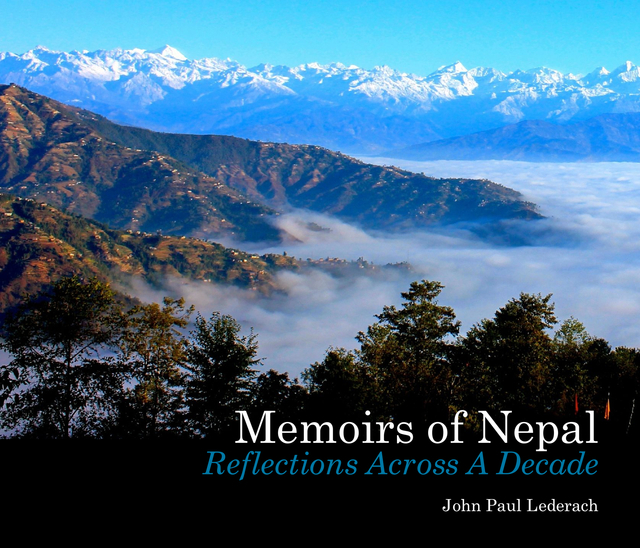 Written as a memoir, the book follows the story of The McConnell Foundation's decade pledge to peacebuilding in Nepal that began in the midst of the civil war. The author walks through key decision points faced by emergent philanthropy and provides an overview of the insights into a system's approach to social change using primarily methods of sustained participatory action research. Among the few international theorists and practitioners with access to deep community processes and national political dialogue Lederach provides insight into the dilemmas and lessons from sustained peacebuilding engagement. The Memoir comes to life with photography, biographical profiles and stories of local colleagues addressing the deep and pressing issues of social conflict. John Paul Lederach has been engaged in peacebuilding, nonviolent social change, and conciliation work for nearly four decades. He is currently a Senior Fellow at Humanity United and Professor of International Peacebuilding at the Kroc Institute, University of Notre Dame. He is author of 22 books and manuals including The Moral Imagination: The Art and Soul of Building Peace (Oxford University Press). He lives with Wendy near Boulder, Colorado.